The Southern-style mansion is alive and well in Tennessee. From the wealthy suburbs around Nashville such as Brentwood, to the exclusive Memphis-area enclaves of Germantown and Collierville, upscale custom homes abound in the Volunteer State. And as a place where monied residents love to build sprawling estates with all the latest luxuries and technologies, Tennessee boasts a deep and talent pool of residential contractors. This is a list of the 15 best custom home builders in Tennessee. The builders here are well known and highly skilled, and they take on some of the largest, most complex, and most expensive projects in the state. There are also innovators in urban renewal and green building on this list, as well as award-winning industry leaders and talented architect-builders. Many of the firms have had homes featured in Tennessee’s annual Parade of Homes, and others have been embraced by and featured in the taste-making Southern Living Magazine. Memphis-area builder Klazmer Sklar Homes constructs mid- to upscale homes throughout West Tennessee. The residential contractor specializes in building beautiful and energy-efficient homes on large lots throughout the Memphis metro area, including in Collierville and Bartlett. The company builds homes starting from about $500k to $800k and works in residential communities like East Memphis, Massey Green, and Harper’s Trail. Klazmer Sklar Homes is a partnership between longtime industry veterans Scott Klazmer and Ron Sklar. The builders pay a lot of attention to energy efficiency and each project’s Home Energy Rating System (HERS) Index. Klazmer is a third-generation home builder, and Sklar has been in the trade for over 50 years. Sklar is also a National Association of Home Builders (NAHB) Certified Graduate Builder and Certified Green Professional. Hands-on owners, Klazmer and Sklar personally supervise every job site, every day. The company is active in the West Tennessee Home Builders Association (WestTNHBA) and offers a 10-year limited structural warranty on every new home. Dave Moore is a well-known Memphis home builder and remodeler with more than 30 years of experience in the construction industry. Moore started his construction company in 1986 and builds homes throughout West Tennessee. The Dave Moore Companies has won awards for its work from the WestTNHBA and the local Vesta Home Show. These include First Place for Quality Craftsmanship for projects over $250k and $450k, and several “People’s Choice” home show awards. Moore is a member of the NAHB and served as chairman of the Remodelers Council of the WestTNHBA. He is an NAHB Certified Aging-in-Place Specialist and Certified Green Professional. The company has an A+ rating from Better Business Bureau (BBB). GreenTech Homes is dedicated to building green and sustainable homes in walkable neighbors around Chattanooga — Tennessee’s fourth largest city. They build in St. Elmo, North Chattanooga, Southside, Red Bank, Northshore, and elsewhere. The custom home building company was founded by partners Paul Teruya and Jim Storey. Teruya is a Chattanooga native with a 20-year background in real estate and construction. Storey has lived in Chattanooga since 1977 and was in marketing, advertising, property development, and real estate before joining with Teruya. The innovative green builder offers several home plans, which clients can personalize with coffered ceilings, shaker cabinets, fireplaces, custom built-ins, and other stylish details. Typically from 1,900 square feet to 2,400 square feet, GreenTech’s homes feature three to four bedrooms and are constructed with an emphasis on durability, using advanced high-performance siding and subfloor systems. They also feature healthy paints and caulk and hardwood kitchen cabinets, as well as energy- and water-efficient toilets, HVAC systems, and appliances. Collier Construction is dedicated to building long-lasting, healthy, and energy-efficient family homes throughout greater Chattanooga, TN. The builder was founded by President and CEO Ethan Collier in 2001. Collier is a Leadership in Energy and Environmental Design Accredited Professional (LEED AP) who is licensed to build homes in Tennessee and Georgia. He has served on the board of directors for the Home Builders Association of Southeast Tennessee (HBAST) and the US Green Building Council. The residential contractor won the HBAST President’s Award, as well as the President’s Award from the Home Builders Association of Greater Chattanooga (HBAGC). The company was also named the Small Business of the Year by the Chattanooga Area Chamber of Commerce, and it won the Torch Award from the BBB, with whom it has an A+ rating for top-notch customer service. The company is currently building a $6M, 20-townhome project in the East Main Street area of central Chattanooga, a major part of the urban renewal of the city’s Southside neighborhood. Joe M. Staub Building Group has won awards from the local Parade of Homes and has worked with some of the region’s top architects and designers. Staub worked with award-winning Nashville architect Ryan Thewes, one of the state’s best designers of modern-style structures, on a Frank Lloyd Wright-inspired home. The unique, stylish project features an interior balcony with a brushed-nickel cable railing, a floating stairway lined with with 9-foot glass panels, and a cantilevered ceiling. A busy remodeler in the Nashville area, the firm does everything from creating gorgeous new gourmet kitchens and spa-style bathrooms to full and complete renovations of homes from the 1960s and ‘70s. Karen Garner started Magnolia Homes in the Memphis suburb Germantown more than 30 years ago. While building her distinctive brand of homes throughout the metro area, she also raised up the company’s vice-president, Reggie Garner Jr., who joined the firm in 2000. Both principals are directly involved in each of their new home builds, from design to the rigorous final inspection, to which Karen Garner subjects each project. The firm has built more than 800 homes in some 30 communities and developments in greater Memphis. The company has also developed seven of its own communities in the region. Magnolia Homes builds residences ranging in price from about $400k to about $1M in such communities as Saunders Creek, Cypress Grove, Shepherd’s Creek, and Magnolia Preserve in Collierville, TN. The custom home builder in Tennessee offers custom cabinetry, James Hardie-brand exterior siding and trim, and large covered back porches. Magnolia Homes gives clients a limited 10-year warranty on every home and has an A+ rating with the BBB. RKA Construction is a residential builder in Tennessee that was founded in 2011 by Ryan Anderson. Anderson has a bachelor’s degree in building construction from Auburn University and an MBA from Christian Brothers University. Before going out on his own, he was a project manager for Montgomery Martin Contractors and Standard Construction Company. The residential contractor builds mostly high-end homes throughout Middle Tennessee and also takes on renovation and addition projects. RKA has an A+ rating from the BBB, and its work has been featured in Architectural Digest, At Home Memphis & Mid South Magazine, Memphis Magazine, and the Memphis Daily News. The company has had homes featured in the local Vesta Home Show. RKA’s 2017 entry was a wonderful five-bedroom, five-bath home designed by David Anderson Architect, with interior design by York Brinkley. The exquisite home includes marble floors and walls and a large glass shower in the master bathroom, a spacious screened porch with a fireplace, and hardwood throughout the interior. Southern Living Magazine named this Tennessee builder its 2017 Builder of the Year. Hatcliff Construction is also a member of the Southern Living Custom Builder Program, an elite list of the top 100 residential construction companies in the South. The firm has been included in this group for more than a decade. Founded by husband-and-wife team Patrick and Mary Hatcliff, the construction company has built luxury residences throughout Middle Tennessee for more than 30 years. Patrick Hatcliff is on each job site every day, making sure everything is done exactly right. The company builds in many of the region’s most exclusive developments and neighborhoods. These include the Grove — a 1,100-acre gated enclave in Franklin, TN — which boasts a Greg Norman Signature Golf Course and homes from mid-$800k to more than $2M. One of Hatcliff team’s wonderful homes in the development features a charming and cozy den with a stone fireplace, an inviting stand-alone tub in its own private corner next to a window, and a covered patio with a stylish wood ceiling and brick floors. As home building professionals with more than three decades of experience in the trade, the team at Hidden Valley Homes constructs upscale residences and estates throughout Middle Tennessee. Their large, well-designed and expertly crafted homes stand throughout the region’s most attractive communities, such as Brentwood, College Grove, Franklin, and Nolensville. The company typically builds homes starting from $500k to around $3M in upscale developments, including the Grove, the Preserve at Echo Estates, Benington, and Avry. The home building company is owned by Trina Spangler, who founded Hidden Valley after designing and building personal residences for herself and her family for nearly 30 years. Her husband, Jim Spangler, is the firm’s president. A graduate of Shippensburg State College, Jim Spangler worked for corporate home builder NVR Inc., for 19 years. In addition to building luxury homes in the Nashville suburbs, Hidden Valley Homes has an offshoot called HV Urban, which is currently developing “Vibe” in East Nashville, an urban community of 38 city homes designed in the Prairie modern style. The Hart brothers of Brentwood are some of the most skilled and experienced craftsmen in Middle Tennessee. Indeed, HGTV picked Michael and Christopher Hart to appear in a series called Best Practices on HGTVPro, which showcases techniques used by expert builders. 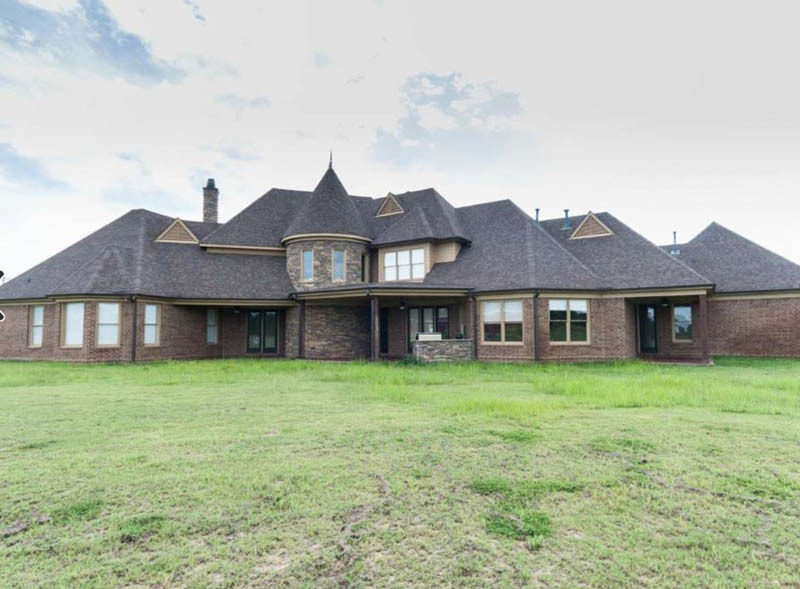 The Tennessee custom home builders construct high-end homes across upscale Williamson County area including such exclusive gated neighborhoods as Governors Club and Hampton Reserve. The brothers especially excel in the countryside where they build some of the most exclusive estates with half million dollar backyard pools and entertaining areas. They build mostly in Middle Tennessee, but recently started operations in Gatlinburg area to help rebuild after the 2016 wild fires. A boutique design-build firm, the company only starts a few homes each year. The Hart brothers, who have been building homes in the Nashville area for more than 30 years, like to keep their attention and their hands on every detail of every project. The company also takes on remodeling projects starting at $50,000 and offers interior design services. They also worked on three Parade of Homes and was featured on Newschannel5 Extra. The home building and remodeling firm has an A+ rating from the BBB for its superior customer service. Tennessee custom home builder Austin Barlow Pennington learned how to build from his father and grandfather. He founded Barlow Builders, a design-build firm specializing in high-end luxury residences, in 2006. The Belmont University graduate has since built more than 150 homes throughout Middle Tennessee. The firm builds homes in some of the region’s most exclusive enclaves, including Barlow Glen, Benington, Taramore, and Wynfield Village. The firm’s homes typically range in price from about $700k to $2M. Their gorgeous 9,097-square-foot English Tudor home in the Witherspoon development in Brentwood, a tony suburb of Nashville, was featured in the HBMAT’s 2017 Parade of Homes. Barlow received several awards during the event, including a Best of Show Award for Best Outdoor Living Area and Best Kitchen, and a People’s Choice award for Best Child’s Room. Barlow’s homes often include chef’s kitchens, custom built-ins, exposed cedar beams, shiplap ceilings, and other distinctive features. The company has an experienced staff of in-house designers, project managers, and construction experts. An award-winning, high-end home builder in greater Nashville, Legend Homes was founded in 2005 by 30-year construction industry veteran Doug Herman. Before entering Middle Tennessee’s luxury home market, Herman was a vice president of construction for companies in Nashville and Atlanta. Legend Homes’ vice-president is Andy Ferguson, who worked in project management, development, and real estate before joining the firm. He has worked in the industry for more than 15 years and served as a board member for the HBAMT. Legend Homes constructs luxurious, state-of-the-art homes priced from around $500k to over $2M. The company builds in some of the top communities in Middle Tennessee, including Brentwood, Franklin, Arrington, and College Grove. It has constructed luxury estates and sprawling mansions in some of the area’s most exclusive developments and golf clubs, such as The Preserve at Echo Estates, The Grove, and Westhaven. Legend Homes has received many honors for its beautiful luxury homes. These include Nashville House and Home and Garden Magazine’s 2014 and 2015 Best Builder Award, as well as People’s Choice Awards for Best of Show, Most Livable Floor Plan, Best Craftsmanship, and Best Home Theatre during the annual Parade of Homes sponsored by the HBAMT. Davis Properties builds high-end custom estates throughout Middle Tennessee. Their homes can be found in the region’s most exclusive and affluent communities including Belle Meade, Oak Hill, Green Hills, and Brentwood. As a second-generation custom home builder and graduate of the University of Tennessee, Justin Davis founded the company after having grown up in the industry. Justin partners with clients through each phase of the building process, and welcomes opportunities to pioneer new techniques and finishes in order to bring their vision to reality. The company’s vice-president of construction is Derrick Dennis, a graduate of Auburn University and a licensed contractor with more than a decade of experience in the building trade. Dennis manages the company’s network of subcontractors, which include some of the most highly skilled craftsmen and carpenters in the region. The firm’s scope of work includes timeless architecture in a variety of styles, from modern to a Southern-style “Gentleman’s Farm.” Founded in 2002, Davis Properties is a member of the HBAMT and the NAHB. Elite home contractors in Middle Tennessee, Gove Park Construction builds high-end homes from 4,500 square feet to more than 12,500 square feet, ranging in cost from $700k to more than $3.5M. The firm has built hundreds of upscale custom homes in exclusive neighborhoods and developments around the greater Nashville area, including in Governors Club, Windstone, Hampton Reserve, Belle Meade, and Green Hills. The firm assists clients at every stage of the construction process, from lot selection to designing the home and choosing top-shelf materials. As a high-end builder, the company has experience with all the awesome details and amenities that separate the truly luxurious home from the rest — such as indoor basketball courts, glass-ceilinged wine cellars, and computer-controlled showers. The company has won honors from the local Parade of Homes, including a Best of Show Award. Grove Park Construction was founded in 2005 by Brandon Jenkins, a graduate of the University of Mississippi. Jenkins comes from five generations of residential builders in Middle Tennessee. This outstanding, sought-after Tennessee custom home builder constructs million-dollar luxury homes in Nashville, Brentwood, and throughout Williamson County, including in many of Middle Tennessee’s most exclusive and upscale communities and developments. Castle Homes’ mansions can be found in West Meade, Forest Hills, Green Hills, Belle Meade, and elsewhere. The company was founded in 1991 by Alan Looney, an industrial engineer by trade and a graduate of Tarleton State University. His wife, Heather Looney, a graduate of Louisiana State University, is the company’s vice-president and principal designer. Alan Looney won Southern Living Magazine’s coveted Custom Home Builder of the Year Award, as well as the magazine’s Cornerstone Award for leadership. Additionally, the company is a member of Southern Living’s network of 100 elite regional builders. Castle Home received a first place award for Best Home Builder in 2018 from Greater Nashville House & Home Magazine. In 2017 it won several awards from the HBAMT Parade of Homes, including the People’s Choice Award for “Most Livable.” Castle Homes is a member of the National Kitchen and Bath Association (NKBA) and the US Green Building Council and is an NAHB Certified Green Professional.